1. Alpen Glow (watercolour) 38cm x 28cm £60 15" x 11"
3. 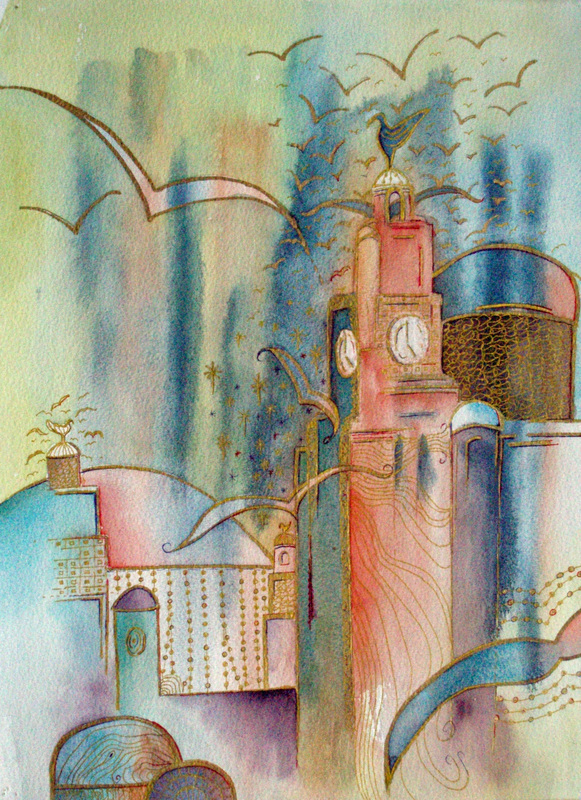 Lorra birds over the Liver Building, Liverpool (watercolour & gold pen) 40cm x 30cm £60 16" x 12"
4. 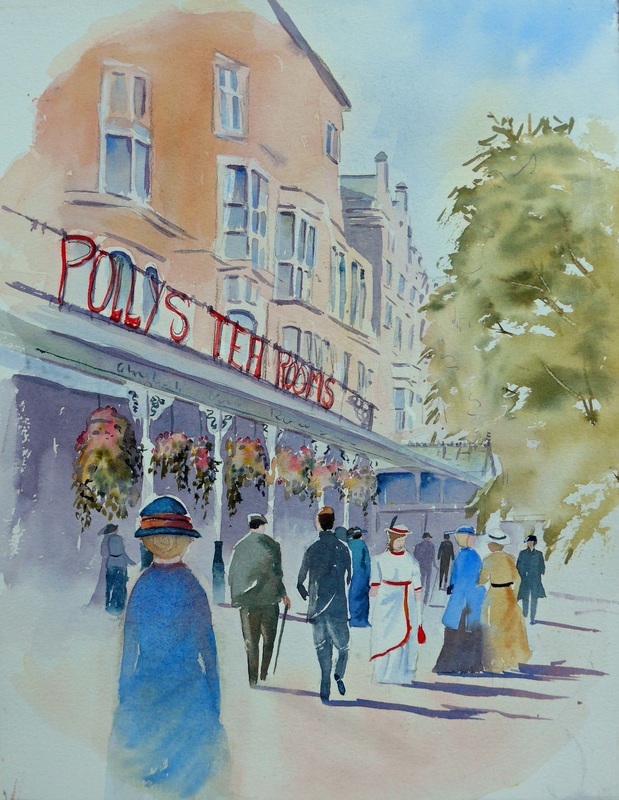 Olde Lord Street, Southport (watercolour) 25cm x 35cm (aperture size) £60 10" x 14"
5. 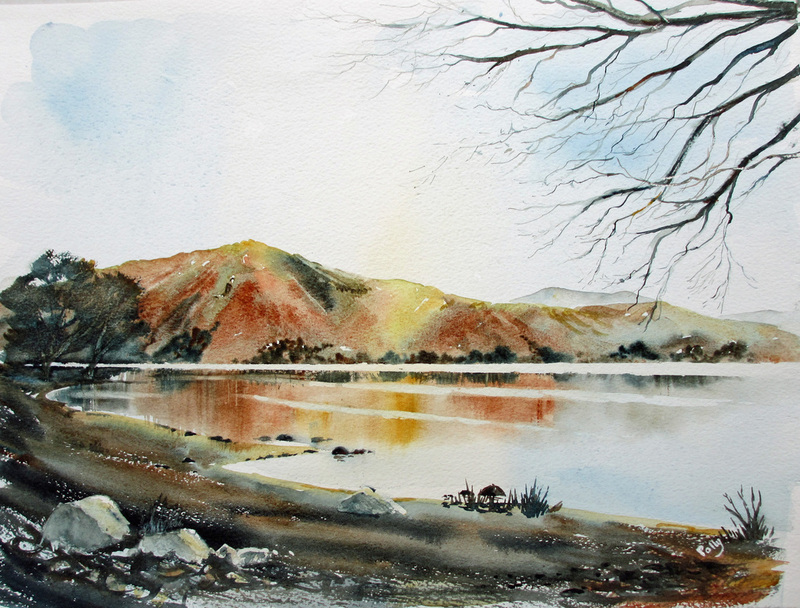 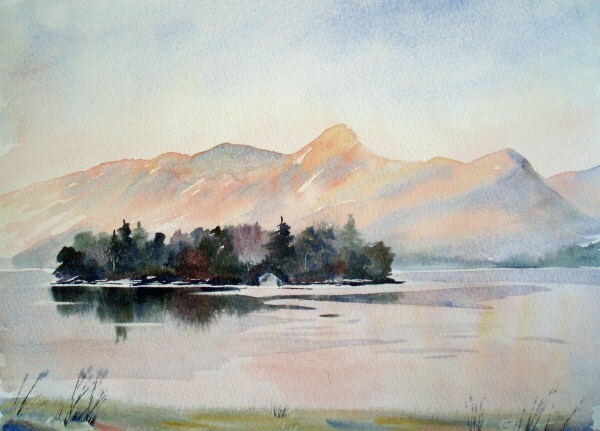 Serene Scotland (watercolour) 40cm x 24cm £60 15" x 9"
6. 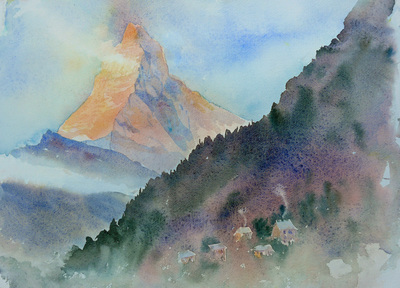 The Awesome Matterhorn , Switzerland (watercolour) 39cm x 30cm £60 15" x 12"